One thing that is true about 2011 - and every year before and after - is that God is good and faithful. When I was in grade school, my Mom would lead the song time at our church's Vacation Bible School. One song we sang regularly was, "Great Big Wonderful God". Here is a video of the Imperials singing this song a few years ago. God has been faithful to provide all that we have needed - and that will not change because He is the same yesterday, today, and forever. I believe that we serve a wonderful God and His promise to supply all of our needs according to His riches in Christ Jesus is true. How about you? Do you know and serve my wonderful God? A couple of months back, I purchased Doug Clay's book "Dreaming in 3D: Finding and Following God's Amazing Plan for Your Life." (It is still available in eBook form for 99 cents from Amazon). While we were away from home, I was unable to finish it - until today. I found the book to be interesting, challenging, and full of helpful ideas for people at various stages in life and their dreams. I have been able to put some of the information to practical use in my life already - and hope to use more in the future. There are three questions that Doug poses when he is making a decision. God's Man - Does the role fit me? God's Time - Does the timing fit my family and my sense of direction? God's Place - Is God leading me to that particular place with those people? God takes our desire and talent and blends them with opportunity to use them. God's anointing along with our humility, which points us to God's provision of grace and strength, provide the strength to fulfill any dream that God has given us. We need mentors and friends to walk with us through fulfilling our dreams. Mentors are wise, trusted leaders who speak truth and prod us to go where we have never gone before. Friends are our cheerleaders who love us and believe in us no matter what happens. A person with a servant's heart does whatever it takes to get the job done, without thought of convenience or applause. It is important that people are the focus of our God-given direction. God created us in His image as relational creatures. We are not meant to be Lone Rangers. "God's dream for us is inaugurated by the Spirit of God, and it is confirmed by the Word of God and the people of God. The powerful interplay of these three give us hope, heart, and handles on the dream. They inspire us, correct us, and propel us to keep going when times are hard. At each step forward, we celebrate God's goodness and the incredible privilege of being His partner in the greatest enterprise the world has ever known—changing people's lives." Clay, Doug (2011-10-05). Dreaming in 3D: Finding and Following God's Amazing Plan for Your Life (Kindle Locations 1258-1261). BookMasters. Kindle Edition. "When dreams go backward, we need to have a long-term perspective. We need to understand that God is purifying our hearts, marshaling resources, or setting up His perfect timing to accomplish His good purposes. Difficulties don't mean that God has become our adversary. Just the opposite! He is our most gifted and diligent Teacher. He's committed to take us through the curriculum He has designed specifically for us so that we learn life's most important lessons." Clay, Doug (2011-10-05). Dreaming in 3D: Finding and Following God's Amazing Plan for Your Life (Kindle Locations 1324-1327). BookMasters. Kindle Edition. I find myself at a place where I need God to give me a renewed vision and plan for the future. While reading a book like this cannot be a substitute for prayer and seeking God for direction, it can provide a different way to look at things and does provide many thought provoking questions to help as you think through various options. It does not matter our age or stage in life, we need God to give us a dream for what He has for us to do. Only then will we be truly satisfied as we see God fulfill those dreams through our lives. How about you? Do you have a God-given dream? If so, pursue it with everything you have. If not, ask Him to give you one! Life is full of challenges, but it seems that this is especially true when living in other cultures. One of the things that makes life interesting is when you have to leave the country to get a visa. This can be just a required exit and re-entry or it can be to apply for a visa for the a future period of time. Most of the time, these experiences are quite routine, but sometimes they are not so routine. Whether you have done it one time or many times, you are always glad when you are back to your foreign home and the process is complete. Since we are in Moldova to get new visas, I was going to write a blog post about that, but thought it would be fun to share our experiences of last year first. When we came to Ukraine in June 2010, rather than getting our one-year visa prior to coming (and possibly delaying our departure date), we decided to go ahead and come without a visa (for up to 90 days) and then leave the country when it was time. We decided to go to Moldova because that was closer and we had missionary friends there. To receive a religious visa, you need a letter of invitation that has been correctly authorized. The local church we attend was willing to do this for us, so they wrote the required letter and went to the government office in a city two-hours from us to get the letter authorized correctly. Train travel is the most common here, so I went to the train station to buy tickets to travel to Chisinau (pronounced Kee-shin-ow), Moldova (the capital city). When I got there, I had trouble getting the lady working there to understand where I wanted to go (the Russian pronunciation is different), so I had to call someone on the phone to help me. My poor Russian was good enough for a straightforward situation, but not this experience. Through the translator, I learned that there was no direct train route. (The reason is that there is an area of Moldova that has been taken over by rebels and most tourists avoid going through this region.) We would have to take the train to Odessa, Ukraine and then ride a bus to Chisinau, Moldova. 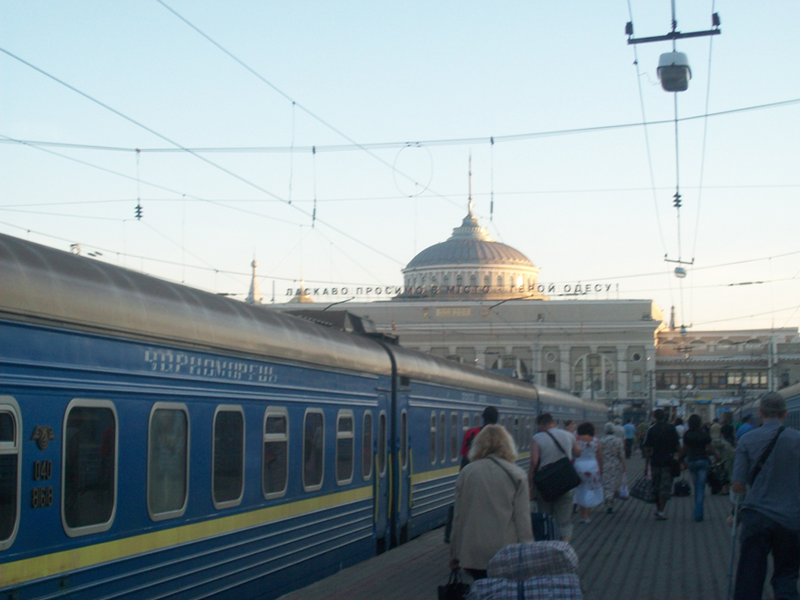 On the late afternoon of Friday August 27th, we took a taxi to the train station to start our adventure to Moldova. This would be our first (of many) experiences on the train. We got settled into our coupe (a small room on the train with 4 beds—2 up and 2 down), and at 5:40 PM the train left for Odessa. We spent time in the evening standing by one of the open windows in the hall to cool off. After about 13 hours on the train, we arrived in Odessa just after 6:30 AM Saturday. It was hot in the train and we slept with the door open, hoping for some fresh air from the open windows in the hall (because the window in our coupe would not open). Between the heat and the many stops, sleep was intermittent, but we still enjoyed riding the train and seeing the countryside. The next step was to find the bus station. (In my research, it did not sound like this would be a problem, but it became a problem for us). Taxi drivers wanted to take us somewhere, but we did not know where to have them take us. We asked around and were told it was close and we could walk there. As we asked different people for verification of how to get there, we ended up walking around in a several block circle, dragging our luggage behind us. I am sure we looked like quite the sight! Other than being hot, our ride in the regular passenger bus was uneventful, but the border crossing was interesting. We stopped at the Ukrainian border to get our passports stamped. The customs person took each passport one or two at a time, making sure they matched the person. When they are all stamped, the passports come back in a pile that started in the front of the bus and gets passed to the back. 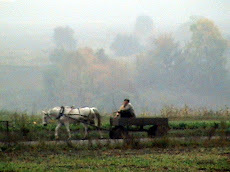 Then the process was repeated at the Moldovan border. We tried to call our Missionary friends (Wesley and Donna Buck), who were hosting us, and all we got was 3 beeps. So we called a friend in Ukraine to get the phone number for a couple of other misisonary friends in Moldova. We talked with a man who worked at a mobile phone store at the bus station (who spoke English very well). He helped us connect with our friends, got an address, and called a taxi for us (because the ones at the bus station charge more). The taxi driver needed to check the map for where our friends lived. When we arrived there, he asked us if this was the place. We had no idea (having never been there before), but told him it must be. Moments after we got out of the car, Donna came out the door of the apartment building. What a relief! On Monday, I went to the Ukrainian embassy to learn that it was closed for processing visas. Because Tuesday was Language Day in Moldova, it would not be open until Wendesday. Right away Wednesday morning, I headed to the embassy. After waiting outside the gate for a bit, I was able to go in and wait at the appropriate window, which was completely unoccupied for a long period of time. When the lady finally returned, she took a look at our visa applications and documentation, then looked into one of her "procedure manuals" (at least that is what it looked like). She needed another lady to tell me, in English, that because our documentation was not authorized in Kiev, she would not process our visa applications. Because the process for additional documentation would take more than just a couple of days, we decided it was best to just enjoy a few more days with our friends and then head back home. Saturday morning we headed to the bus station to start our journey home. The weather was beautiful, so it would not be as hot for our return trip. Our regular bus was not very full, so our border crossings were a bit faster than they just a week earlier. We actually completed the journey in five hours this time. 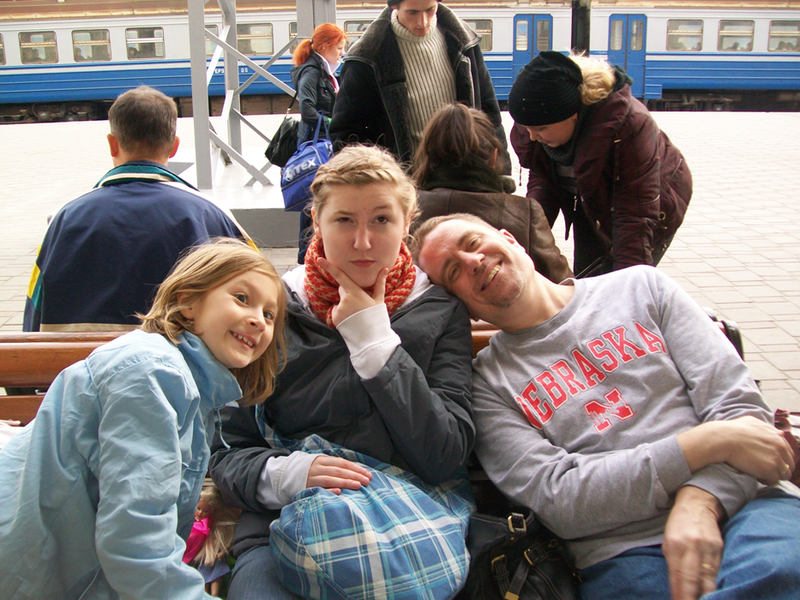 When we arrived in Odessa, we were dropped off at the bus station very close to the train station. I purchased train tickets for the night train (we could not be in the same coupe this time) that which did not leave until 10:40 PM. That meant we had almost eight hours to wait at the trian station. We walked to McDonald’s (with all of our luggage) and ate a late lunch/early supper because we were very hungry. We were surprised that they were all out of chicken sandwiches (that most of us wanted). We then headed to the train station where we waited (and waited). It took a bit of looking, but we finally found the common waiting area on the second floor. There were no elevators, so that meant carrying our luggage up the stairs (and back down again later). We sat there until early evening and then headed outside to wait in the fresh air. When it was finally time to board the train, Hope was very tired. Denise and Hope settled in the top berths of their coupe and Hope was sleeping before they even distributed the sheets. Laura and I settled in the top berths of our coupe (both coupes were in the same wagon, fortunately). One young man (Sasha), who shared our coupe, was from Krivoy Rog and spoke excellent English. We had a very enjoyable visit and I still have some contact with him. We got back to Krivoy Rog about 11:30 AM Sunday. We were tired, hungry, and ready for a shower! Even though our trip did not see us get the visas we came for, God's hand was evident. I believe that the lady who told us how to get to the central bus station as well as the man who spoke English at the mobile phone store were God-sends to us. Our friends, Wesley and Donna, had just arrived back in Moldova a few days earlier. We were able to help them get settled and make sure supper was ready for them when they got done with their busy days. How about you? In spite of the challenges, do you see God's hand guiding and directing you? Do you see the opportunites for you to minister to others during the challenging times? Did you even know there is day designated as Orphan Sunday? This year's Orphan Sunday is on November 6th. I must confess, that I was not aware of this date. Having a day set aside for awareness of a problem does not do much if the word does not get out to the people on the streets. I heard on the radio this morning that people in the US adopt more children than the rest of the world combined. Good for us, but there is so much more to do. While you may not be able to adopt a child, everyone can use their voice to share about the need. Did you know that there are 147 million orphans in this world? How can we make a change in such a large statistic? We change the world by touching one child at a time. From the website: Each event is locally-led. Sermons and small groups, concerts and prayer gatherings, shared meals and youth activities—each rousing believers with God’s call to care for the orphan, and what we can do in response. From many sources, one voice. On November 6th, thousands of events echo across America and around the globe, all sharing a single goal: that God’s great love for the orphan will find echo in our lives as well. Orphan Sunday is your opportunity to rouse church, community and friends to God’s call to care for the orphan. Denise and I adopted both of our daughters when they were babies. Many people are surprised when they learn that they are adopted because they look so much like us. 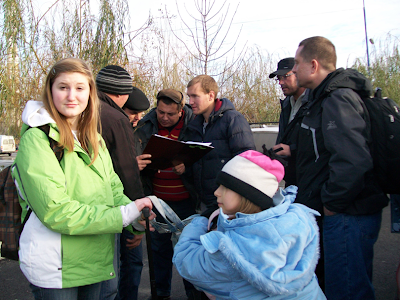 Building relationships with orphans in Ukraine has caused us to wonder, "Are we doing enough? What else can and should we be doing? Should we adopt a child from Ukraine?" These are not easy questions and are things that we are still working through and praying about. Maybe you are thinking that you cannot do anything because you cannot adopt a child yourself. There are still many other ways that you can help. Please prayerfully consider what God would have you do on Orphan Sunday, November 6th and the days and months afterwards. Now that you are more aware of the needs of orphans around the world, what will you do about it? P.S. I have posted links to the sites of several groups. I am not aware of everything that these organizations are doing, so by linking to their sites, I am not giving a full 100% endorsement of each of their activities. Before giving to any organization, we all need to do our homework. "Lord, help me to do great things as though they were little since I do them with your power; and little things as though they were great since I do them in your name." Bjorklund, Kurt (2011-08-16). Prayers for Today Sampler: A Yearlong Journey of Contemplative Prayer (Kindle Locations 365-368). Moody Publishers. Kindle Edition. Dictionary.com defines Lord as a person who has authority, control, or power over others. When we start out a prayer with, Lord, we are confessing that He is in charge. Do we really mean that when we say it? 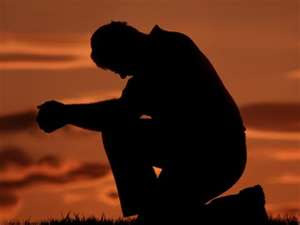 How many times have I prayed and confessed Him as Lord, only to try to take control back after the close of my prayer? Is He really Lord of our lives? Have we committed everything we are and have to Him? We need to remember that He is the sovereign One and we are His servants. The servant does what the Master asks. Sometimes I do what He asks, but only after I have argued with Him about it. That is not the role of a servant. A servant is not greater than his Master. Everything I do needs to be for His honor and glory. Only when He is truly Lord of my life will I be OK with God getting all the glory. "help me to do great things as though they were little since I do them with your power;"
I do not know about you, but I like to be in control. Most tasks I would rather do myself, without any help. But I have learned (and continue learning) that I do need help. The larger the task, the more help I need. As we have left the comforts of America to live in Ukraine, this is a great task that is much larger than what I can do alone. I need the power of God to help me adapt to a new culture, learn a new language, and have my light shine for Him. The task is made easier knowing that God is on my side. Without Him, I can do nothing. I am grateful for the power from God to help me live for Him and to do what He has called me to do. "and little things as though they were great since I do them in your name." Sometimes when I think that a task is little, I want to do it by myself. When is a task little? Is it when it is really "easy"? Or is it when it is a "lowly" task, like when Jesus washed the feet of the disciples? I tend to think the writer meant that we need to be willing to be a servant. Demonstrating servanthood as a leader is very important, in my opinion. If something needs to be done, do it, and do not worry about who gets the credit. Philippians 2:5-7 says, "You must have the same attitude that Christ Jesus had. Though he was God, he did not think of equality with God as something to cling to. Instead, he gave up his divine privileges; he took the humble position of a slave and was born as a human being..."
Whether the task is great or small, we always need God's help. With a great task, we need His power. With a little task, we often need His humility. How about you? How do you approach the things you do? Are you relying on the power of God to accomplish what He has called you to do, whether great or little? In case anyone has not already figured it out, I am unashamedly and unapologetically pro-life. Life begins at the moment of fertilization. Abortion is the murder of a child. In my opinion, I believe that many of the financial issues our country (and world) faces is because we have murdered so many children. As adults, these people would have been consumers of goods and services, not to mention part of the work force today. If an unborn child is not wanted by their parents, there are many parents available who would love to adopt that child. God has chosen us to be an adoptive family. We are so thankful that He has! The process is not easy (do not let anyone tell you otherwise)! Our two daughters are such a blessing to us. We appreciate that we were chosen to raise and love them. We are "real" parents, no different than if they were our birth children. Living in Ukraine and visiting kids at the orphanage can really break your heart. You see the potential for who they could be if someone would just give them a home and show them the love of Christ. Without that, very few are able to overcome the obstacles that are in their path. I watched the documentary "180" when it came out and was totally impressed. Even if you do not appreciate the style of Ray Comfort (and Kirk Cameron), I believe this is a well-done project and that everyone should watch this for themselves (after being warned about the graphic content). Because I feel strongly about this and because I care deeply about the people in my life, I wanted to take the time to share it with you. Are you willing to take 33 minutes to watch this - and then share it with your family and friends? The "layman" need never think of his humbler task as being inferior to that of his minister. Let every man abide in the calling wherein he is called and his work will be as sacred as the work of the ministry. It is not what a man does that determines whether his work is sacred or secular, it is why he does it. The motive is everything. Let a man sanctify the Lord God in his heart and he can thereafter do no common act. All he does is good and acceptable to God through Jesus Christ. For such a man, living itself will be sacramental and the whole world a sanctuary. His entire life will be a priestly ministration. As he performs his never so simple task he will hear the voice of the seraphim saying, "Holy, Holy, Holy, is the Lord of hosts: the whole earth is full of his glory." Tozer, A. W. (Aiden Wilson) (2011-03-24). The Pursuit of God (p. 71). Kindle Edition. "The "layman" need never think of his humbler task as being inferior to that of his minister." Have you ever thought that someone was more special to God just because they were a missionary or pastor? I have. I remember when I was growing up, someone I knew became a missionary. I made the comment about how special they were because of this. The response, "I am no more special than anyone else. I am just an ordinary person." More than twenty-three years ago, I married a Pastor's daughter. Now I am a Minister and Missionary myself. Those who are in ministry are not loved more by God. We are all loved by God and are special to him. We are all ordinary people who serve an extraordinary God. "Let every man abide in the calling wherein he is called and his work will be as sacred as the work of the ministry." We all get our pay checks in different ways. As a missionary, my salary comes through our missions agency - Assemblies of God World Missions. Before that, I had always been paid by a corporation. My Dad taught me, that no matter who we work for, no matter who signs the check that pays us, that God is our source. If our job situation changes, God continues to be our source. No matter who we work for, we are responsible to serve God with everything we have. God will open doors of opportunity for you to speak into the lives of those you work with. "It is not what a man does that determines whether his work is sacred or secular, it is why he does it. The motive is everything." Why do I do what I do? What is my motive? Do I do it for myself or for someone else? It is the best if I do what I do because I want to honor and please the Lord. Colossians 3:22-25 (NLT) says, "22 Slaves, obey your earthly masters in everything you do. Try to please them all the time, not just when they are watching you. Serve them sincerely because of your reverent fear of the Lord. 23 Work willingly at whatever you do, as though you were working for the Lord rather than for people. 24 Remember that the Lord will give you an inheritance as your reward, and that the Master you are serving is Christ. 25 But if you do what is wrong, you will be paid back for the wrong you have done. For God has no favorites." God has no favorites. No one person is more special to God. Work for the Lord in everything you do. Remember how Joseph was promoted when he worked at Potiphar's house and while in prison, but was eventually promoted to second in command in Egypt - because God was with Him. When I do my best work for the Lord and honor God in my words and actions, God will take care of me. "Let a man sanctify the Lord God in his heart and he can thereafter do no common act. All he does is good and acceptable to God through Jesus Christ." A.W. Tozer is not saying that even if we sin, it is good and acceptable. It is that we will want to keep from sin to not break the good relationship we have with our God. When our hearts are right with God, we will not want to do anything but please God. The Bible talks about our works being a demonstration of our faith. The Apostle Paul asked in Romans 6:1-2 (NLT), "1 Well then, should we keep on sinning so that God can show us more and more of his wonderful grace? 2 Of course not! Since we have died to sin, how can we continue to live in it?" Let us not live in sin. Rather, let us make it our goal to glorify God in how we live. Whatever God has for us to do is not a common thing, let us do it with all of our heart! "For such a man, living itself will be sacramental and the whole world a sanctuary. His entire life will be a priestly ministration. As he performs his never so simple task he will hear the voice of the seraphim saying, "Holy, Holy, Holy, is the Lord of hosts: the whole earth is full of his glory."" I love hearing our Pastor tell about his Dad. He was a mechanic who told his customers about Jesus while he worked on their cars. He had an impact on many people, because he believed that his sanctuary was his garage. No matter where we are, we need to walk in our call as Christians. We need to let our light shine, making the darkness run. We need to be salt in our world, making those around us thirsty for more of God. As we yield ourselves completely to God, people around us will take notice and listen to what we have to say. That is glorifying the Lord. Rather than putting full-time ministers on a pedestal and holding them to a higher standard, maybe it is time that all Christians start living like ministers. After all, is that not what we are? When I was a layman, I tried to live like that, which has made the transition to Minister and Missionary easier. What would you need to change to live like a minister of the gospel? Are you willing to make that change? Just think of the great impact you could have on the people in your life if you took that step of faith. What is your motive for doing what you do? 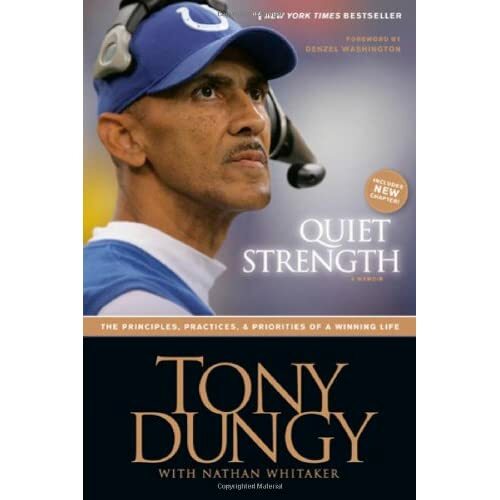 During the time we were itinerating and preparing to move to Ukraine, I read the book "Quiet Strength" by Tony Dungy - which is an autobiography about the life of a football coach and Godly man. It was during a period that I needed some of that strength. Anyone who has prepared to move knows that it can be more than a little stressful at times. That is even more true when you are preparing to move overseas. As Coach Dungy has honored God, God has blessed him. And it was the relationships that he had with other people that helped develop him into the man that he became. We could tell that same story over many times in the body of Christ, couldn't we? When I read that, I thought it sounded like the church. The church is a great group of people that should be tight-knit. Whatever we do reflects on the church - and the body of Christ universal. We should make wise choices with God's help so as not to bring harm to the reputation of other Christians. That reminds me of the prayer of Jabez, whose mother named him that because she bore him in pain, from 1 Chronicles 4:10 (NKJV), "And Jabez called on the God of Israel saying, "Oh, that You would bless me indeed, and enlarge my territory, that Your hand would be with me, and that You would keep me from evil, that I may not cause pain!” So God granted him what he requested." At that time, I recognized that was right where I was living. We were waiting for God's provision and timing of the house to sell. We were trying to use this time to prepare for when God says "GO" and to be ready for what is in store for us when we get there. My prayer at that time was that God would help us be ready to GO, ready to SERVE, ready to PREACH, and ready to LOVE. Looking back, I can say that God has been 100% faithful - just like always! God gives us what we need, when we need it, and all for His purpose, even if we need to wait. When we wait, do we wait in quietness? For Coach Dungy, God gave Him quiet strength when He needed it. The Psalmist reminded us to be still and know that He is God. Isaiah told us that those who wait on the Lord will renew their strength. "15 This is what the Sovereign Lord, the Holy One of Israel, says: “Only in returning to me and resting in me will you be saved. In quietness and confidence is your strength. But you would have none of it. 16 You said, ‘No, we will get our help from Egypt. They will give us swift horses for riding into battle.’ But the only swiftness you are going to see is the swiftness of your enemies chasing you! 18 So the Lord must wait for you to come to him so he can show you his love and compassion. For the Lord is a faithful God. Blessed are those who wait for his help." I have learned that as I wait, even though it is hard, the promises in the Bible are true - without a doubt! My strength is renewed. I am blessed. And God gives me the grace to wait on Him. Psalm 37:5 (NLT) says, "Be still in the presence of the Lord, and wait patiently for him to act. Don’t worry about evil people who prosper or fret about their wicked schemes." How about you? Are you waiting for something? Keep trusting that God will give you what you need when you need it!